Save On Universal Life Insurance! ThinkInsure is an independent insurance broker so we can offer our customers unbiased life insurance advice. We'll help them choose the best coverage from the insurance companies we work with so they'll get proper coverage at the lowest rates. Get Expert Advice : As licensed life insurance experts, we provide free, unbiased, professional recommendations and advice based on your financial needs and goals. Have A Superior Customer Experience : Your ThinkInsure broker will make sure you get the best financial and insurance advice. They will be there to take care of your needs in a professional and timely manner. 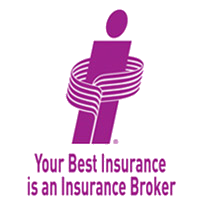 Insurance Value : Our insurance brokers have in-depth knowledge of a wide range of life insurance options. We put our knowledge to work for you. You’ll get the best value for money. Insurance Savings : With the wide range of insurance partners, ThinkInsure will find the best-fit universal life insurance for you that will save you money and make sure you’re covered properly. You determine the blend you want of investment and insurance protection. When you make deposits beyond your prescribed insurance premiums, these funds can be invested and will earn interest. Your investment portion will grow – and tax on your investment will be deferred. When the value of your policy builds, you can withdraw funds or take out loans against the your account. Like other loans, you will incur interest. With universal life, you can maintain your level of coverage or you can opt to increase it over time. Or you can choose a combination of level and increasing value of life insurance. On payout, there are no tax implications for your beneficiaries. Have no more room for RRSP contributions. People who want to augment their estate for children and grandchildren. Entrepreneurs and businesses who want to protect their business’s value. When paid out on death, the policy usually provides tax-free inheritance for your beneficiaries. Under current federal tax law, investment growth is tax-deferred – an income tax savings for you now. Universal Life insurance is flexible – you decide the blend of life insurance and premium payments. What Universal Life Insurance Does For You? Can be used for unexpected needs such as funeral expenses, loss of income or even mortgage pay out. Can assist you in business planning. Helps with wealth management and growth. Can be used as tax-deferred savings. Tax-advantaged growth means that the proceeds from the policy paid out to your beneficiaries is generally tax-free. You should speak to your broker to more fully understand your particular universal life insurance policy. Speak to an insurance professional : Universal life insurance is more complicated than other types of life insurance. Speaking with an insurance professional will ensure that you understand the term of your policy. Ask questions : Don’t assume that you know the definition of terms in your policy. Ask for clarification about terms like disability, death benefit and beneficiary . Understand the differences in term, permanent and universal life insurance : It’s easy to get confused. 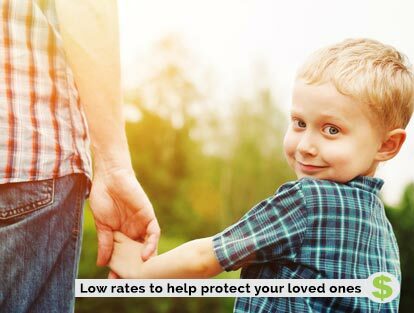 Learn the benefits of one life insurance over another. If you have invested in universal life insurance, check in periodically with your financial advisor to make sure your policy is on track with your financial goals. Universal Life Insurance is the most flexible insurance protection available. This type of insurance gives you the ability to determine and at times, adjust your death benefit and investment mix. Universal life also provides tax advantages for you as an investor. Build your portfolio while you protect your loved ones. Call one of our life insurance experts to learn more about universal life insurance and the solutions we can provide - 1-855-550-5515.